THE PRESIDENT: Good morning, everybody. I want to make a brief statement about the tragedy in Ukraine. Before I do, though, I want to note that Secretary Kerry has departed for the Middle East. As I’ve said many times, Israel has a right to defend itself against rocket and tunnel attacks from Hamas. And as a result of its operations, Israel has already done significant damage to Hamas’s terrorist infrastructure in Gaza. I’ve also said, however, that we have serious concerns about the rising number of Palestinian civilian deaths and the loss of Israeli lives. And that is why it now has to be our focus and the focus of the international community to bring about a cease-fire that ends the fighting and that can stop the deaths of innocent civilians, both in Gaza and in Israel. So Secretary Kerry will meet with allies and partners. I’ve instructed him to push for an immediate cessation of hostilities based on a return to the November 2012 cease-fire agreement between Israel and Hamas in Gaza. The work will not be easy. Obviously, there are enormous passions involved in this and some very difficult strategic issues involved. Nevertheless, I’ve asked John to do everything he can to help facilitate a cessation to hostilities. We don’t want to see any more civilians getting killed. With respect to Ukraine, it’s now been four days since Malaysia Airlines Flight 17 was shot down over territory controlled by Russian-backed separatists in Ukraine. Over the last several days, our hearts have been absolutely broken as we’ve learned more about the extraordinary and beautiful lives that were lost — men, women and children and infants who were killed so suddenly and so senselessly. Our thoughts and prayers continue to be with their families around the world who are going through just unimaginable grief. I’ve had the opportunity to speak to a number of leaders around the world whose citizens were lost on this flight, and all of them remain in a state of shock but, frankly, also in a state of outrage. Our immediate focus is on recovering those who were lost, investigating exactly what happened, and putting forward the facts. We have to make sure that the truth is out and that accountability exists. Now, international investigators are on the ground. They have been organized. I’ve sent teams; other countries have sent teams. They are prepared, they are organized to conduct what should be the kinds of protocols and scouring and collecting of evidence that should follow any international incident like this. And what they need right now is immediate and full access to the crash site. They need to be able to conduct a prompt and full and unimpeded as well as transparent investigation. And recovery personnel have to do the solemn and sacred work on recovering the remains of those who were lost. Ukrainian President Poroshenko has declared a demilitarized zone around the crash site. As I said before, you have international teams already in place prepared to conduct the investigation and recover the remains of those who have been lost. But, unfortunately, the Russian-backed separatists who control the area continue to block the investigation. They have repeatedly prevented international investigators from gaining full access to the wreckage. As investigators approached, they fired their weapons into the air. These separatists are removing evidence from the crash site, all of which begs the question — what exactly are they trying to hide? Moreover, these Russian-backed separatists are removing bodies from the crash site, oftentimes without the care that we would normally expect from a tragedy like this. And this is an insult to those who have lost loved ones. This is the kind of behavior that has no place in the community of nations. Now, Russia has extraordinary influence over these separatists. No one denies that. Russia has urged them on. Russia has trained them. We know that Russia has armed them with military equipment and weapons, including anti-aircraft weapons. Key separatist leaders are Russian citizens. So given its direct influence over the separatists, Russia and President Putin, in particular, has direct responsibility to compel them to cooperate with the investigation. That is the least that they can do. President Putin says that he supports a full and fair investigation. And I appreciate those words, but they have to be supported by actions. The burden now is on Russia to insist that the separatists stop tampering with the evidence, grant investigators who are already on the ground immediate, full and unimpeded access to the crash site. The separatists and the Russian sponsors are responsible for the safety of the investigators doing their work. And along with our allies and partners, we will be working this issue at the United Nations today. More broadly, as I’ve said throughout this crisis and the crisis in Ukraine generally, and I’ve said this directly to President Putin, as well as publicly, my preference continues to be finding a diplomatic resolution within Ukraine. I believe that can still happen. That is my preference today, and it will continue to be my preference. But if Russia continues to violate Ukraine’s sovereignty and to back these separatists, and these separatists become more and more dangerous and now are risks not simply to the people inside of Ukraine but the broader international community, then Russia will only further isolate itself from the international community, and the costs for Russia’s behavior will only continue to increase. Now is the time for President Putin and Russia to pivot away from the strategy that they’ve been taking and get serious about trying to resolve hostilities within Ukraine in a way that respects Ukraine’s sovereignty and respects the right of the Ukrainian people to make their own decisions about their own lives. And time is of the essence. Our friends and allies need to be able to recover those who were lost. That’s the least we can do. That’s the least that decency demands. Families deserve to be able to lay their loved ones to rest with dignity. The world deserves to know exactly what happened. And the people of Ukraine deserve to determine their own future. PRIME MINISTER NETANYAHU: Mr. Secretary, John, a pleasure to welcome you again in Jerusalem. I very much appreciate the fact that you’re here today. You’ve got a lot on your plate. Despite that busy schedule of yours, you took the time to come to Jerusalem. It’s deeply appreciated. I appreciate the fact that you’re making a great personal effort on matters of vital strategic importance for all of us. Iran must understand the consequences of its continual defiance of the international community by its pursuit towards nuclear weapons. What the past few days have showed is something that I’ve been saying for quite some time, that if diplomacy has any chance to work, it must be coupled with a credible military threat. What is true of Iran – or what is true of Syria is true of Iran, and by the way, vice versa. SECRETARY KERRY: No. (Laughter.) Not by any means. PRIME MINISTER NETANYAHU: Don’t elevate me to the role of president. 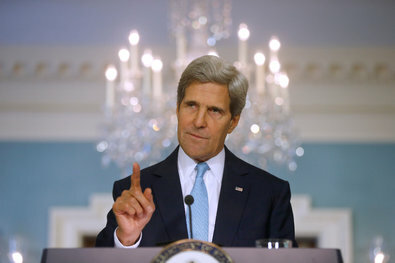 SECRETARY KERRY: President – Prime Minister and President, I apologize. SECRETARY KERRY: (Laughter.) Both leaders. SECRETARY KERRY: I am talking to both leaders directly. And everybody, I think, understands the goal that we are working for. It is two states living side by side in peace and in security. Two states because there are two proud peoples, both of whom deserve to fulfill their legitimate national aspirations in a homeland of their own, and two states because today, as we commemorate the 40th anniversary of the Yom Kippur War, I think everybody is reminded significantly of the costs of conflict and the price, certainly, that Israelis have paid in the quest for their security and identity. The ongoing conflict in Syria has enormous implications for all of the neighbors – the press of refugees, the fact of weapons of mass destruction having been used against the people of their own state. These are crimes against humanity, and they cannot be tolerated, and they are a threat to the capacity of the global community to be able to live by standards of rules of law and the highest standards of human behavior. The core principles with respect to the removal of these weapons and the containment of these weapons, which we want to achieve, as we said in the document, in the soonest, fastest, most effective way possible – if we achieve that, we will have set a marker for the standard of behavior with respect to Iran and with respect to North Korea and any other state, rogue state, group that decide to try to reach for these kinds of weapons. The core principles will have the full backing of the international community through the UN Security Council. And Russia agreed that any breach of compliance, according to standards already set out in the CWC, any breach of the specifics of this agreement or any use of chemical weapons by anyone in Syria will result in immediate referral and action by the Security Council for measures under Chapter 7, which means what they select, up to and including the possibility of the use of force. So, Mr. Prime Minister, I know you and I are both clear-eyed about the challenges ahead. We have to summon the grit and the determination to stay at this, to make the tough decisions – tough decisions about eliminating weapons of mass destruction and tough decisions about making peace between Israel and the Palestinians. We will not lose sight of the end game. I know that from talking with the Prime Minister today. And I think both of us remain deeply committed, and we hope very much with our partners in the region, to doing our best to try to make this journey towards peace get to its destination. The President will be speaking about the United States’ response to the Syrian regime’s use of chemical weapons that killed more than 1,400 civilians — including more than 400 children. You can watch the President’s speech live below or on WhiteHouse.gov/Syria. 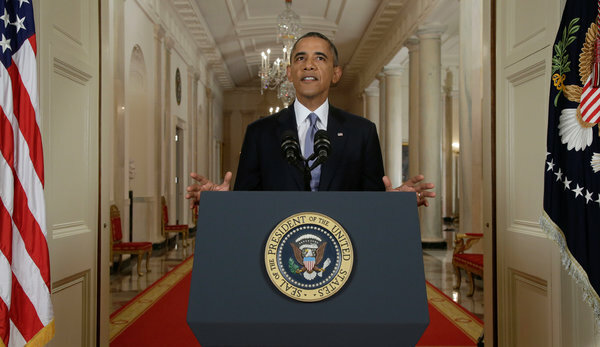 President Obama spoke in the East Room of the White House on Tuesday. 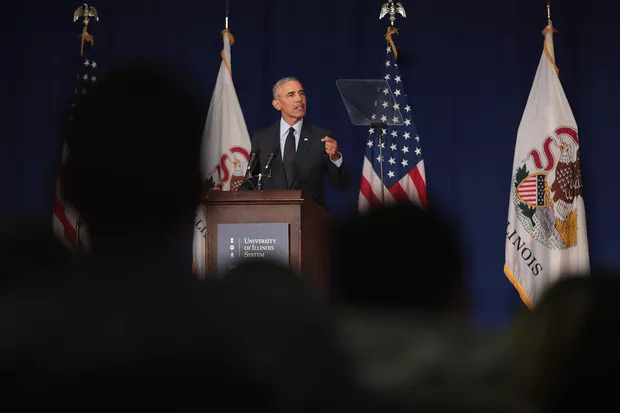 Source: NYT, 9-10-13Following is the complete text of President Obama’s speech about Syria from the East Room of the White House on Tuesday, as transcribed by Federal News Service. 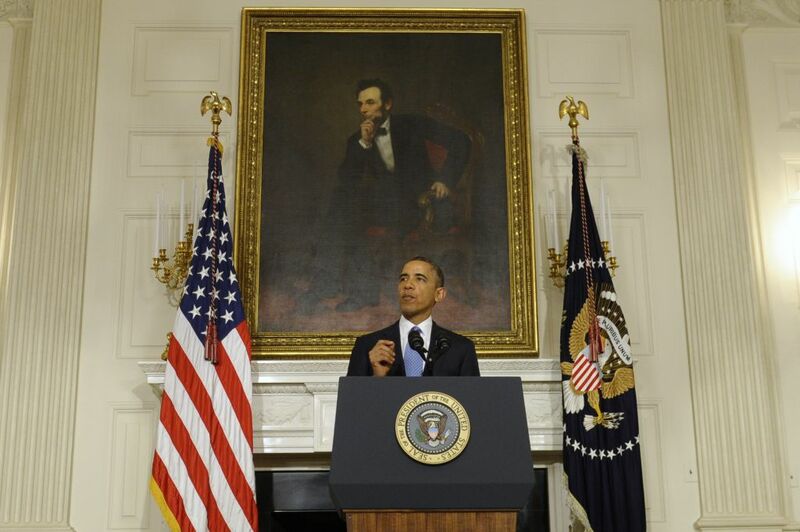 MR. OBAMA: My fellow Americans, tonight I want to talk to you about Syria, why it matters and where we go from here. Over the past two years, what began as a series of peaceful protests against the repressive regime of Bashar al-Assad has turned into a brutal civil war. Over a hundred thousand people have been killed. Millions have fled the country. In that time, America has worked with allies to provide humanitarian support, to help the moderate opposition and to shape a political settlement. But I have resisted calls for military action because we cannot resolve someone else’s civil war through force, particularly after a decade of war in Iraq and Afghanistan. The situation profoundly changed, though, on August 21st, when Assad’s government gassed to death over a thousand people, including hundreds of children. The images from this massacre are sickening, men, women, children lying in rows, killed by poison gas, others foaming at the mouth, gasping for breath, a father clutching his dead children, imploring them to get up and walk. On that terrible night, the world saw in gruesome detail the terrible nature of chemical weapons and why the overwhelming majority of humanity has declared them off limits, a crime against humanity and a violation of the laws of war. On August 21st, these basic rules were violated, along with our sense of common humanity. No one disputes that chemical weapons were used in Syria. The world saw thousands of videos, cellphone pictures and social media accounts from the attack. And humanitarian organizations told stories of hospitals packed with people who had symptoms of poison gas. Moreover, we know the Assad regime was responsible. In the days leading up to August 21st, we know that Assad’s chemical weapons personnel prepared for an attack near an area they where they mix sarin gas. They distributed gas masks to their troops. Then they fired rockets from a regime-controlled area into 11 neighborhoods that the regime has been trying to wipe clear of opposition forces. Shortly after those rockets landed, the gas spread, and hospitals filled with the dying and the wounded. We know senior figures in Assad’s military machine reviewed the results of the attack. And the regime increased their shelling of the same neighborhoods in the days that followed. We’ve also studied samples of blood and hair from people at the site that tested positive for sarin. When dictators commit atrocities, they depend upon the world to look the other day until those horrifying pictures fade from memory. But these things happened. The facts cannot be denied. The question now is what the United States of America and the international community is prepared to do about it, because what happened to those people, to those children, is not only a violation of international law, it’s also a danger to our security. As the ban against these weapons erodes, other tyrants will have no reason to think twice about acquiring poison gas and using them. Over time our troops would again face the prospect of chemical warfare on the battlefield, and it could be easier for terrorist organizations to obtain these weapons and to use them to attack civilians. If fighting spills beyond Syria’s borders, these weapons could threaten allies like Turkey, Jordan and Israel. And a failure to stand against the use of chemical weapons would weaken prohibitions against other weapons of mass destruction and embolden Assad’s ally, Iran, which must decide whether to ignore international law by building a nuclear weapon or to take a more peaceful path. This is not a world we should accept. This is what’s at stake. And that is why, after careful deliberation, I determined that it is in the national security interests of the United States to respond to the Assad regime’s use of chemical weapons through a targeted military strike. The purpose of this strike would be to deter Assad from using chemical weapons, to degrade his regime’s ability to use them and to make clear to the world that we will not tolerate their use. That’s my judgment as commander in chief. But I’m also the president of the world’s oldest constitutional democracy. So even though I possessed the authority to order military strikes, I believed it was right, in the absence of a direct or imminent threat to our security, to take this debate to Congress. I believe our democracy is stronger when the president acts with the support of Congress, and I believe that America acts more effectively abroad when we stand together. Now, I know that after the terrible toll of Iraq and Afghanistan, the idea of any military action, no matter how limited, is not going to be popular. After all, I’ve spent four and a half years working to end wars, not to start them. Our troops are out of Iraq, our troops are coming home from Afghanistan, and I know Americans want all of us in Washington, especially me, to concentrate on the task of building our nation here at home, putting people back to work, educating our kids, growing our middle class. It’s no wonder, then, that you’re asking hard questions. So let me answer some of the most important questions that I’ve heard from members of Congress and that I’ve read in letters that you’ve sent to me. First, many of you have asked: Won’t this put us on a slippery slope to another war? One man wrote to me that we are still recovering from our involvement in Iraq. A veteran put it more bluntly: This nation is sick and tired of war. My answer is simple. I will not put American boots on the ground in Syria. I will not pursue an open-ended action like Iraq or Afghanistan. I will not pursue a prolonged air campaign like Libya or Kosovo. This would be a targeted strike to achieve a clear objective: deterring the use of chemical weapons and degrading Assad’s capabilities. Others have asked whether it’s worth acting if we don’t take out Assad. As some members of Congress have said, there’s no point in simply doing a pinprick strike in Syria. Let me make something clear: The United States military doesn’t do pinpricks. Even a limited strike will send a message to Assad that no other nation can deliver. I don’t think we should remove another dictator with force. We learned from Iraq that doing so makes us responsible for all that comes next. But a targeted strike can make Assad or any other dictator think twice before using chemical weapons. Other questions involve the dangers of retaliation. We don’t dismiss any threats, but the Assad regime does not have the ability to seriously threaten our military. Any other — any other retaliation they might seek is in line with threats that we face every day. 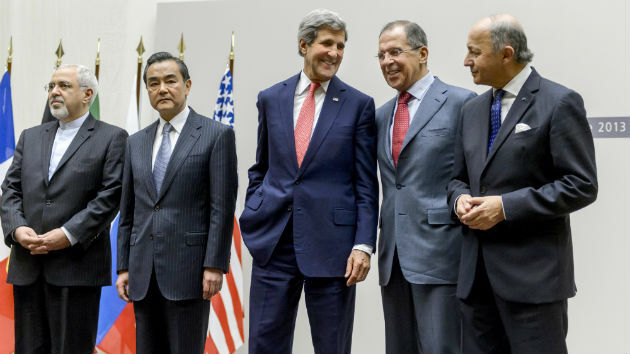 Neither Assad nor his allies have any interest in escalation that would lead to his demise. And our ally Israel can defend itself with overwhelming force, as well as the unshakable support of the United States of America. Many of you have asked a broader question: Why should we get involved at all in a place that’s so complicated and where, as one person wrote to me, those who come after Assad may be enemies of human rights? It’s true that some of Assad’s opponents are extremists. But al-Qaida will only draw strength in a more chaotic Syria if people there see the world doing nothing to prevent innocent civilians from being gassed to death. The majority of the Syrian people and the Syrian opposition we work with just want to live in peace, with dignity and freedom. And the day after any military action, we would redouble our efforts to achieve a political solution that strengthens those who reject the forces of tyranny and extremism. And several people wrote to me, we should not be the world’s policeman. I agree. And I have a deeply held preference for peaceful solutions. Over the last two years my administration has tried diplomacy and sanctions, warnings and negotiations. But chemical weapons were still used by the Assad regime. However, over the last few days we’ve seen some encouraging signs in part because of the credible threat of U.S. military action as well as constructive talks that I had with President Putin. The Russian government has indicated a willingness to join with the international community in pushing Assad to give up his chemical weapons. The Assad regime has now admitted that it has these weapons and even said they’d join the chemical weapons convention, which prohibits their use. I have therefore asked the leaders of Congress to postpone a vote to authorize the use of force while we pursue this diplomatic path. I’m sending Secretary of State John Kerry to met his Russian counterpart on Thursday, and I will continue my own discussions with President Putin. I’ve spoken to the leaders of two of our closet allies, France and the United Kingdom. And we will work together in consultation with Russia and China to put forward a resolution at the U.N. Security Council requiring Assad to give up his chemical weapons and to ultimately destroy them under international control. We’ll also give U.N. inspectors the opportunity to report their findings about what happened on August 21st. And we will continue to rally support from allies, from Europe to the Americas, from Asia to the Middle East who agree on the need for action. Meanwhile, I’ve ordered our military to maintain their current posture, to keep the pressure on Assad and to be in a position to respond if diplomacy fails. And tonight I give thanks again to our military and their families for their incredible strength and sacrifices. 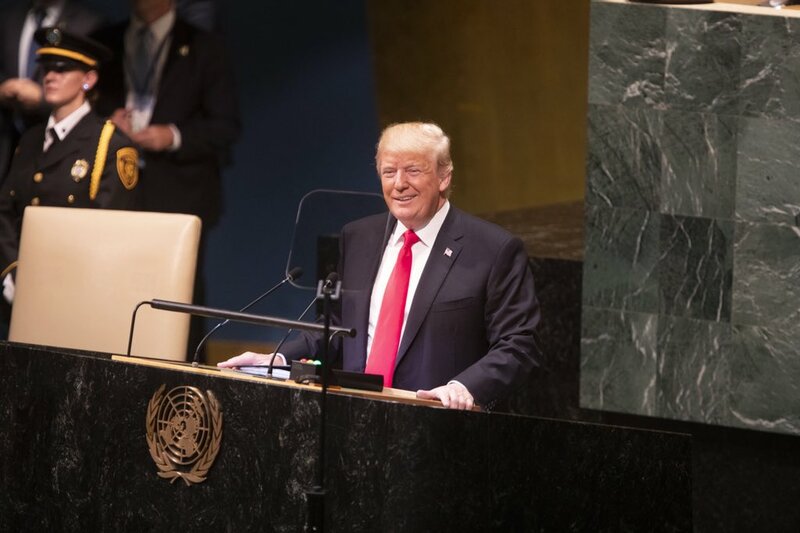 My fellow Americans, for nearly seven decades the United States has been the anchor of global security. This has meant doing more than forging international agreements. It has meant enforcing them. The burdens of leadership are often heavy, but the world’s a better place because we have borne them. And so to my friends on the right, I ask you to reconcile your commitment to America’s military might with a failure to act when a cause is so plainly just. Indeed, I’d ask every member of Congress, and those of you watching at home tonight, to view those videos of the attack, and then ask: What kind of world will we live in if the United States of America sees a dictator brazenly violate international law with poison gas and we choose to look the other way? Franklin Roosevelt once said our national determination to keep free of foreign wars and foreign entanglements cannot prevent us from feeling deep concern when ideals and principles that we have cherished are challenged. Our ideals and principles, as well as our national security, are at stake in Syria, along with our leadership of a world where we seek to ensure that the worst weapons will never be used. America is not the world’s policeman. Terrible things happen across the globe, and it is beyond our means to right every wrong. But when, with modest effort and risk, we can stop children from being gassed to death and thereby make our own children safer over the long run, I believe we should act. That’s what makes America different. That’s what makes us exceptional. At a joint press conference Wednesday with United Kingdom Foreign Secretary William Hague, Secretary of State John Kerry defended the National Security Agency, saying that Congress understands the program, passed it and voted for it several times. He also said the judiciary branch has also reviewed it and the program and has been actively engaged. Former Senator John Kerry entered the State Department as the 68th Secretary of State for the first time on Monday morning, greeted by the cheers and applause of hundreds of State Department employees. A jovial Kerry peppered his remarks with jokes, eliciting laughter from the crowd throughout his roughly 10 minute speech, given in the same spot former Secretary of State Hillary Clinton gave her emotional farewell on Friday.